Why a Serviced Office in DMCC Dubai? Serviced offices in DMCC Dubai are helpful especially for new startups or small businesses that cannot afford to commit to sign long term leases for a whole office space or don’t want to spend of too much of limited resources on fit-outs for shell and core office space. They are also for companies who are setting foot in a new city for the first time. 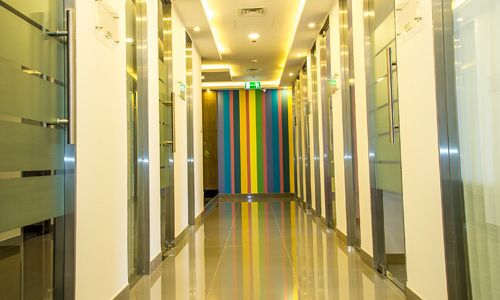 There are various office types of serviced offices to choose from. A serviced office typically have options of either internal or external suits and optional addons such as business support services or use of meeting room facilities. Business can also enjoy shared facilities such as business support services, meeting rooms, office equipment and tenants really do not have to worry about day to day operations like IT or administrative work such as call attendance, guest greeting, topping up of pantry supplies or even arranging for office clean up services. What are the available office suit configurations at Open Business Center DMCC Dubai ( OpenBC ) ? Our rooms have available size range from 150sf to 200sf and they come up with 2, 3 & 5 workstation options. Majority of our office suits enjoy beautiful views of Jumeirah Islands and jumeirah Lake Towers. Are there any additional charges which tenant needs to pay apart from the rent? 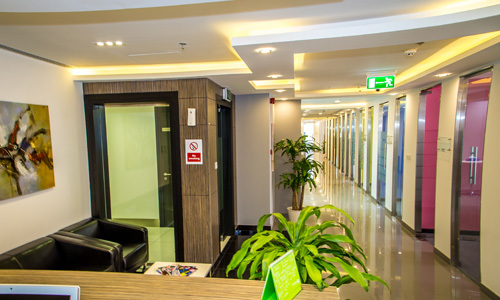 OpenBC is the only Business Center in DMCC Freezone which offers one cost model where our office suits come with attractive and affordable rent packages that include all major facilities and amenities and therefore you as Tenant don’t have to worry about paying any additional charges for services you use. We have it all covered for you. What are the Documents required for signing up the lease agreement agreement for a serviced office? Following documents are required at the time to signing up the lease agreement with OpenBC. What are the accessibility options available? OpenBC Serviced Offices is very conveniently located within the close proximity of JLT Metro station and its barely 5 to 10 minutes’ walk to our Business Center. Alternatively we are easily accessible by car by following the map and we do have ample parking available on ground level.